Spigot's Pharmacy software comes in three different variants. It is an end to end Pharmacy Management Software/System catering to the complete workflow of a Pharmacy setup that supports the stores functionality as well as drug dispensing & billing functionality. It is suitable for individual pharmacies, group of pharmacies in a central/sub store model, distributor model and pharmacies within a hospital setup. 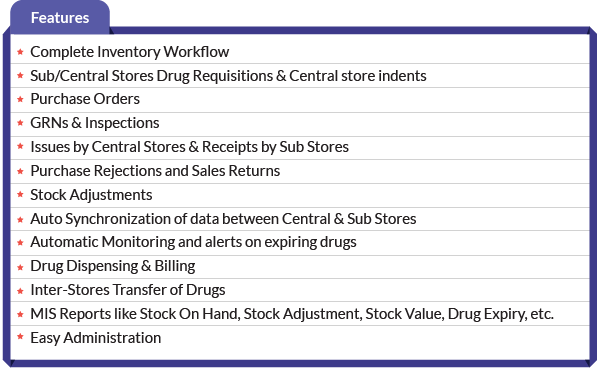 This software is highly scalable and works across all the activities in a pharmacy. The software works both in individual database mode as well as centralized database mode.